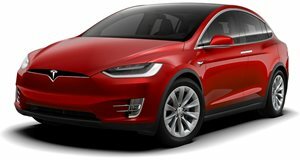 How much will a Tesla cost if these materials start to drop in price? Right now, China is in the middle of a land grab as it snatches up islands in the South China Sea. One might wonder why a large country like China is so eager to acquire more territory. But more land means more resources, especially those that will be used in cars of the future. Automotive News has a report about the importance of these materials to automakers, noting that China is the only country where rare earth metals like dysprosium and terbium can be effectively sourced. Why are these so important to car companies? Because both of these are essential for the production of electric motors used in hybrid and electric cars. The metals are used to build powerful electromagnets because of innate heat-resistant properties. 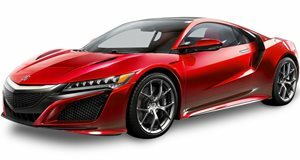 China has used them as political leverage against Japan in the past since the country's hybrid-happy automakers require them to build cars like the Toyota Prius and new Acura NSX. For years, automakers around the world have been trying to find a way to build electric motors without using these metals since they add weight and cost a lot. To make matters worse prices are expected to increase as more hybrid and electric vehicles hit the road. However, thanks to Honda, this may no longer be the case. The Japanese automaker has spent time researching new ways to build electric motors and has come up with a new heat deformation production method that aligns the magnet’s microscopic crystals in such a way that they resist heat more effectively without the use of the metals. 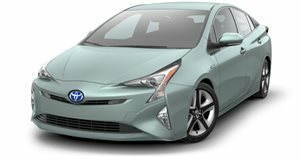 Unfortunately, the technology still needs some refining because at its current level of sophistication it is only applicable to hybrids. They run cooler than EVs do thanks to supplemental power from the gas engine. While engineers get ready for the all-electric NSX, the current crop of new motors will make a debut on the Honda Freed, a Japan-only minivan based on the Fit. If the technology can be further improved, maybe the cost of a Tesla Model S will drop even more.